You’ve got the amazing Remington 700 and you need a good scope for it. What you’ll be doing with that rifle will determine what kind of scope you’ll need. The best scope for Remington 700 will depend on if you’re hunting, tactical shooting, or competition shooting. We’ve put together a list of 5 scopes that cover any type of shooting you’ll be doing. You can see a quick list of these 5 scopes in the below table. Then there is more detailed information on each scope further down this article. What Will Your Scope Be Used For? Depending on what you’ll be doing with your rifle you’ll need a different scope. Typically you’ll fall into one of these three categories: hunting, competition shooting, or tactical shooting. We’ve put at least one of each scope type in our top 5 list that you can take a look at on the above table. If you’re going to use the same rifle for multiple purposes you would benefit from using detachable scope rings. This will allow you to change between your hunting scope and a precision competition level scope very quickly. These scope rings pop on and off your rifle while maintaining a relatively good zero. If you have to make some adjustments it shouldn’t be many. Below I’m going to cover the needs and requirements of scopes that fall into one of the three categories: hunting, precision competition shooting, or tactical. So, if you’re unsure what to keep an eye out for a scope falling within your category the next section will be helpful. If you’re out hunting you’ll experience a variety of rough conditions and you’re going to need a scope that can withstand the damage. Durability is a big factor for hunting scopes. From the dings getting out of your vehicle, brushing against trees, and the weather you need something that can stand up to the damage. Being outside often causes fog issues so getting a scope with anti-fog mechanics is nearly a must. You can opt for anti-fog lenses that attach to your scope but most people have bad experiences with these. They don’t perform as well compared to a scope filled with a fog purging gas such as nitrogen. Typically scopes filled with nitrogen or argon are going to be more expensive. However, if you’ve ever hunted with a fogged up scope you know it’s well worth the money. If you can’t see what you’re shooting at you may as well just stay at home or limit yourself to hunting at different times and just work around times where your lens may fog up. Personally, I’m not that disciplined and would go with the fog proof scope. The other issue is water. Some scopes come with a rain guard lens that repels water and gives you a crystal clear shot no matter how bad it’s raining. You can also opt for a rain guard shade and these work better by comparison to the fog guard shades. Lastly, you want something that’s shock proof and able to take damage. It’s inevitable that your scope is going to hit something at one point or another. Make sure your scope is durable and can withstand some wear and tear. When you’re hunting most of your shots won’t take place at extreme distances. Most hunting is done at around 300 yards or so and with this in mind you won’t need a scope with high magnification. This will save you some money right off the bat. Thee hundred yards is a good distance to base your hunting off of. There’s going to be trees, brush, and other factors that limit how far you’re going to be able to see. To make sure you will be able to reliable hit your target you need to base your scope magnification off of this. This lets you choose from magnifications around 3-9 or 4-12 that’s going to be reliable and accurate. You want to avoid over-magnification and the higher magnification you go the heavier your scopes get. Keeping your scope light will be important over time if you’re carrying it up hills and rough terrain. Your best bet is to just keep it simple here. A simple duplex reticle will work fine at around the 300 yards or less. If you’re at closer ranges you may want a bullet drop compensator. The main thing is to avoid illuminated reticles it can make your shot difficult to see and ruin your shot. Tactical weapons are meant to acquire their targets quickly and accurately while maintaining high precision. The tactical Remington 700 is an excellent rifle but you’ll need a scope that doesn’t delay your ability to top reload. It will be key to focus on scopes that aren’t too large, wide, and it can’t be mounted too low. All of these things will make reloading more difficult. When choosing a reticle the best option will be either a MIL or MOA reticle. Both of these options give you precise adjustment of a few inches. If you’re new to MIL and MOA then you may want to go with the MOA reticle since the math more simple and easier to pick up for beginners. You may also want to go with a First Focal Plane reticle. This makes the reticle change in size as the magnification is increased or decreased. It’s a popular choice for many tactical shooters. If you’re a tactical Remington 700 shooter you probably know your rifle really well. Using tactical turrets you can quickly adjust with your fingers lets you make those quick changes and know you’ll be on point with your next shot at any new distance. It provides a level of comfort and tact that’s hard to understand until you use them. If you’re under a lot of cover or brush you can’t really move your whole body to make scope adjustments. Tactical turrets let you get the job done with only your fingers. Competition shooting is extremely gun. The Remington 700 has made its mark in this sport and is a popular choice with shooters. These guns get highly customized with different parts and become more unique but the standard Remington 700 is picked quite often as a starting point. These competitions have iron sight divisions and optic divisions. The optic competition is highly competitive and the winner can come down to fractions of an inch. If you’re going to compete with the best of them you’ll need a high quality optic that’s reliable and trustworthy. Getting a scope with good glass is very important. When you’re looking at a target in the distance and there’s a glare it becomes extremely difficult to focus on that target. Good glass will have a bright lens that’s multi-coated. It will gather and transmit light while reducing glare. Good glass is more expensive than people tend to think but it’s worth every penny. It’ll make a huge difference in your ability to perform well during a competition. You don’t want the reason you miss your target to be because of a glare or glass issue. It’s one thing to miss on your own and it’s another to miss because of your equipment. You don’t want to add unnecessary weight to your competition rifle by having huge objective lenses. A good size to aim for is between 40-50mm. At this size you can mount low to medium rings and this will help you be more precise in your shooting. Additionally, it’ll reduce the torque on your optics. You should go with a higher end MIL or MOA reticle. Go with marks that run the entirety of the reticle for both horizantal and verticle lines. The more detailed your reticle lines are the more information you have to make adjustments and make accurate shots. At the same time you’ll want to find a happy medium for yourself. Every shooter is different and what works for one person may not work for another. Try to find a friend with different reticle marks than you’re using and see what you like best. Some people think the extra markings just get in the way and others rely on the additional information. As for focal plane it’s all personal preference. There’s a lot of that when it comes to competition shooting. Finding what you’re comfortable with is key to being comfortable with the shots you’ll make. I do believe the first focal plane is the more popular choice for competition shooting so if you’re a beginning you could start there. Make sure your scope has precision turrets to make more precise adjustments. Your competition may have rules or recommendations on what will be best. Usually the adjustments you’ll need to make will be small. Competition turrets will let you make smaller fraction adjustments. As I mentioned earlier sometimes the winner is decided by fractions of an inch so these small adjustments really matter. We’ve got 5 great scopes reviewed below for the Remington 700. Each of these scopes would fit into one of the three categories we mentioned earlier: hunting, tactical, or competition. The Leupold VX-1 is a great scope for hunting. It’s a 3-9x40mm that’s compact, waterproof, and fog proof. This scope has a reputation for being very durable. It can withstand a lot of damage from the woods and your wear and tear from active use. It’s priced very reasonably and the majority of people have positive experiences and great things to say about this scope. It includes a precision MOA adjustment system that you can use with your fingers. It has a multicoat 4 lens system for improved clarity and visual field. It provides excellent contrast and works amazingly in low-light conditions. It’s filled with nitrogen to be completely fog-proof. It’s waterproof and just a complete beast for hunting. You’ll also benefit from the Leupold lifetime warranty they provide on all their scopes. Didn't come across anything negative worth mentioning. 4-14X MAGNIFICATION: Features a Mil-Dot reticle that stays true through the scope's entire magnification range of 4x through 14x. MIL-DOT RETICLE: The Mil-Dot reticle with Mil based turrets that moves the reticle by one-tenth of a Mil with each click. ILLUMINATION: This scope does NOT feature an illuminated reticle. RUGGED AND DURABLE: This tough scope is shockproof, waterproof and fog resistant. This is the Primary Arms tactical scope. It’s a first focal plane rifle scope with a 4-14x magnification. It features a MIL dot reticle which adjusts in 3.5″ inch per tick for every 100 yards. It’s just as popular as an MOA reticle. There’s no illumination for the reticle which personally I find a good thing but some people do prefer them. Overall it’s a rugged and durable scope that’s shockproof, waterproof, and fog resistant. It isn’t as fog resistant as a scope filled with nitrogen but the glass has fog resistant properties. The Primary Arms brand is a good one with a good reputation behind them. You’ll also receive a 3 year warranty where they will either repair or replace your scope. 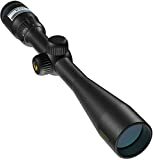 The Burris Ballistic Plex is a highly rated scope among its customers. It’s a more heavy duty scope with a steel on steel adjustment system. These have an audible click which is nice to hear. 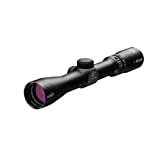 Burris has focused on durability with this scope including double internal spring force, steel parts, and overall shockproof. This scope also has the fog proof and waterproof features you want in a scope. Customers typically highly rate this scope and it has some of the higher remarks we’ve ever seen on a scope. Personally I don’t like when I can’t find a common negative feature on a product. There’s usually at least one downside to any product but I couldn’t find anything for this one other than it being heavier due to all the steel made parts. Vortex Optics make great rifle scopes and this one’s no different. 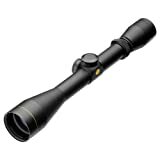 This is a 4-16×44 scope with multiple configurations for hunting and tactical shooting. This makes it quite a unique scope and the MRAD holds well at extended ranges. Vortex glass is multi-coated with low dispersion lenses that bring great clarity and color. It comes with XR coating that provides enhanced light gathering capability. It also has exposes turrets to quickly and easily make adjustments with your finger. Including a CRS zero stop that lets you return to zero after dialing in adjustments. Customers are overall happy with this scope. Everything from the quality materials used and its ability to provide a crystal clear picture. The one bad thing we came across was where some people received a faulty scope. They’ve blamed the companies quality control but these issues were resolved through Vortex customer support. Faulty scopes escape the factory time to time. The Nikon ProStaff is a popular rifle scope a lot of people use. It’s a compact scope with 4-12x40mm and bullet drop compensator reticle. It’s fully multi-coated and transmit the majority of light to give you a clear image. On average it only loses 2% of available light. The adjustment knobs are spring loaded with an option to quickly zero-reset. It’s nitrogen filled so you won’t have to combat fog issues. It’s also waterproof and does hold up to outside damage well. You can expect eye relief of roughly 3.7″ inches. Most customers have given positive remarks on this scope. It holds high reviews and the majority of people haven’t had any issues. There were a few people who experienced a bad product on arrival and a few had issues after roughly 100 rounds. This doesn’t seem to be the norm but it’s worth mentioning. Some people had fog issues which may mean the O ring wasn't sealed properly. Zeroing at 100 Yards – Choosing to zero your scope at 100 yards is one of the most popular options. It gives you a solid foundation to make further scope adjustments when you go to shoot at difference distances. If you’re using an MOA reticle your adjustments are 1″ inch per 100 yards so this makes tagging your next shot easy. What focal plane should I use? – Best practice is to get comfortable with one focal plane and stick with it. However, each focal plane does hold it’s place for different activities. Hunting will be better on one plane while tactical shooting better with another. However, nothing is going to beat the one you’re comfortable with using. Quickest way to zero a rifle scope? – I’ve found a laser bore sight to be the quickest way to zero a rifle scope. It conserves ammo and time. It’s basically placing a laser pointer in your barrel and aligning it on the target. It typically only takes 2-3 shots to zero a rifle scope using this method. I hope you enjoyed this article on the best scope for Remington 700. No matter your purpose for the scope if it’s hunting, tactical, or for competition you should be able to find a great option out of the 5 we recommend here. Just remember the characteristics we mentioned in the beginning of the article on what to look out for depending on what you’re going to be doing.